This page has moved to a https://www.designastudy.com/about-design-a-study/. Please, update your links. 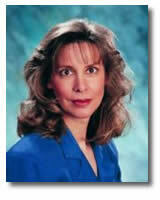 Kathryn Stout is a Christian educator, consultant, speaker, and author of nine books. An honors graduate of the University of Delaware, Kathryn holds a bachelor’s degree in elementary education and a master’s degree in special education. During her eight years in public schools she taught, tested, and developed programs for students who did not respond to traditional strategies. She home schooled her own two children, Clea and Christopher, for fourteen years using the Design-A-Study materials she created. Both graduated from college with honors. Clea earned a BA degree from her parents' alma mater and a Juris Doctorate from Widener University School of Law. Christopher earned a BA in cinema-television from the University of Southern California, attending on a USC Presidential Scholarship. Kathryn has dedicated herself to helping homeschooling parents teach in a manner that will bring out each child’s talents and gifts. She gives seminars throughout the United States and Canada, works as a consultant with homeschooling families, tutors children of all ages, and writes a regular teaching help column for her web site (www.designastudy.com/teaching/). Her books include: Teaching Tips & Techniques, Natural Speller, Movies As Literature, Comprehensive Composition, Critical Conditioning, Science Scope, Guides to History Plus, Maximum Math, and The Maya. Kathryn can be contacted by phone or fax at 1-800-965-2719 or (302) 998-3889, by e-mail at Kathryn [at] designastudy.com, and by mail at Design-A-Study, 408 Victoria Ave., Wilmington, DE 19804-2124.